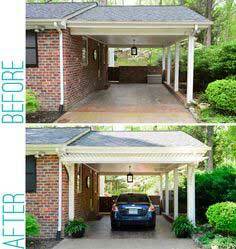 A carport can be used for lots of things besides housing a car. 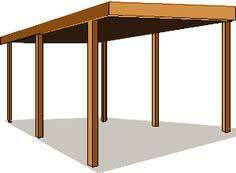 It's a great space to set up a picnic table for a cookout and the family can enjoy it as additional outdoor living and entertaining space when the weather gets damp. 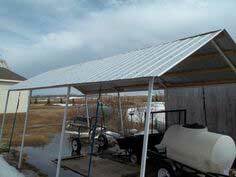 If you have outdoor equipment like a tractor, riding lawn mower or other maintenance equipment, a carport is an easy and inexpensive way to protect your investment. 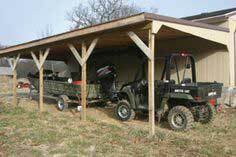 Whether you choose a freestanding model or a lean-to shed style, you're sure to add convenience and value to your property with this simple storage structure. 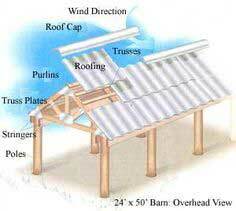 Suggested materials include exterior dimensional lumber, reclaimed barn wood, exterior grade plywood, cedar shingles, MDF board and PVC piping. 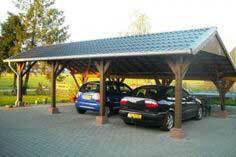 Building a carport is an inexpensive and practical way to protect your car or other outdoor equipment. 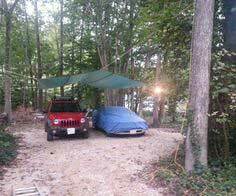 Carports can be freestanding or connect to your house, garage or other outbuilding. 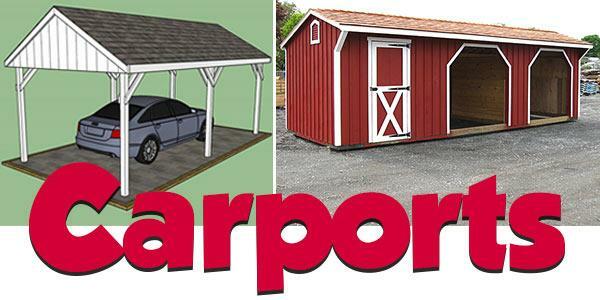 This collection of carport plans features all the drawings, supply lists and information you need to build a carport you can use year around. 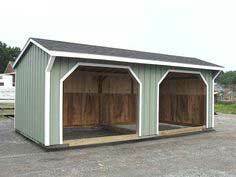 Feel free to adjust the size of the plan to fit your purpose and add decorative elements to match your house style.